From ancient cave paintings to beloved children’s books, illustration has long been one of the world’s most popular ways of communicating ideas. And while some illustrated works have been accepted in prestigious museums with the highest regard, illustration is also considered one of the simplest and most accessible hobbies to practice. In honor of this timeless and ever-evolving craft, we’ve put together a list of essential illustration tools. 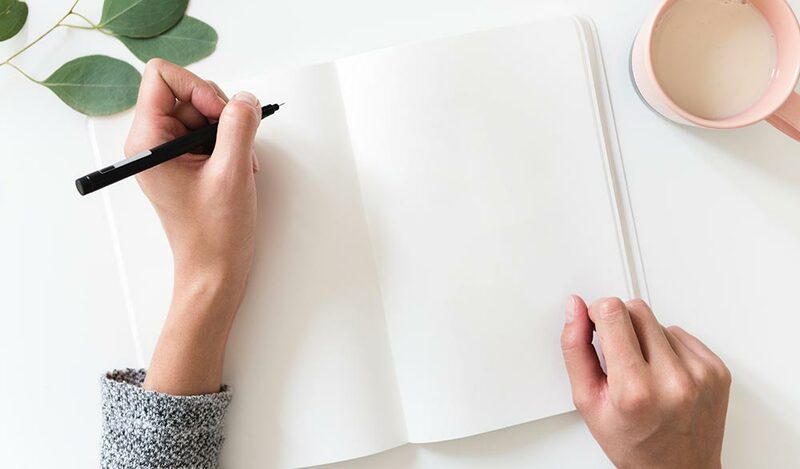 Whether you are a casual doodler or professional artist, these tools will help you hone your craft and take your illustration practice to the next level. Let’s start with the basics. 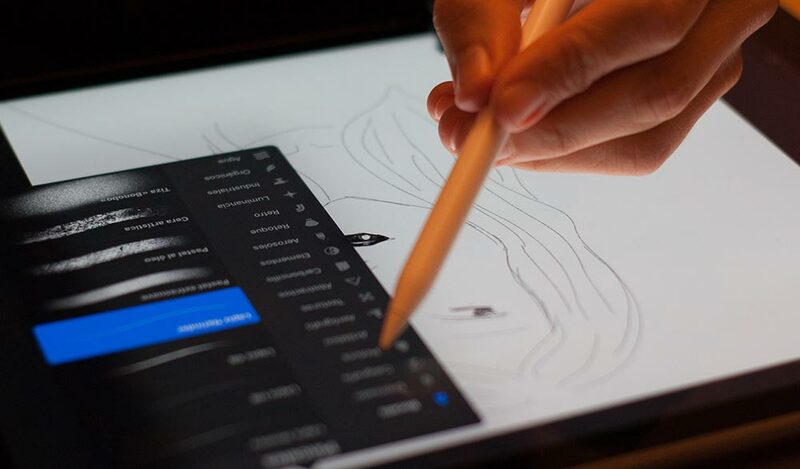 The popularity of digital tools and apps has increased as more people turn to their tablets and styluses, but a good pen or pencil is arguably the only thing you really need to be able to draw or illustrate. 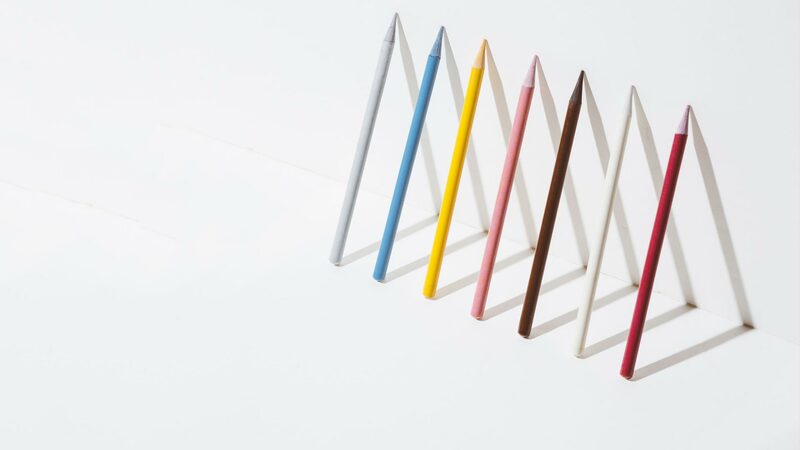 While pens and pencils are simple tools, there’s an unlimited number of brands and styles to choose from. This might feel a bit daunting, especially if you’re just starting out. The best place to start is to think about the style of illustration you want to achieve. Is it clean and precise? Maybe try a perpetually sharp mechanical pencil. Going for something more expressive and bold? Try a thicker brush tip pen. Also, and this may seem simple, but it’s important to remember, the best pen or pencil (or paintbrush!) is the one that feels best to you. For many illustrators, there’s nothing more exciting than a fresh sheet of blank paper. As with selecting the right pen or pencil, selecting the right paper is part science, part emotion. Do you want something bright and smooth for your crisp pencil sketches or something slightly rougher and sturdier to show off the texture of your inky masterpieces? Consider portability too. Will you want something fairly small that you can carry with you? After you’ve narrowed it down, a fun way to make your final decision is to visit your local art store, have a feel of all the different options, and see which papers call to you. 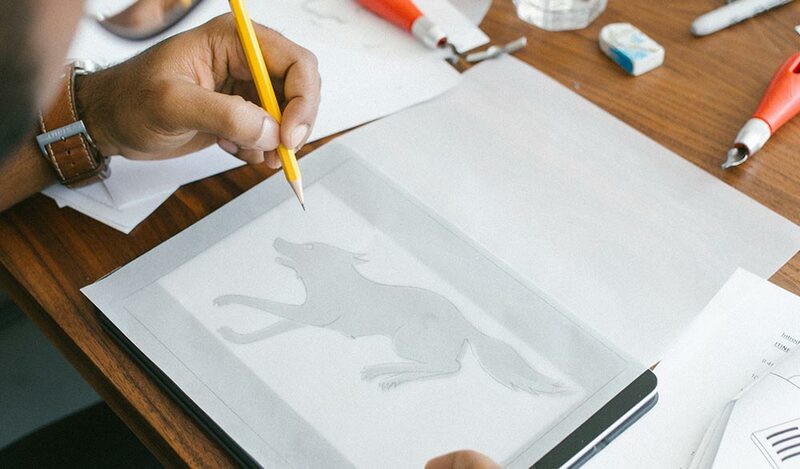 While you will eventually develop your own unique illustration style, tracing paper can be extremely helpful when you are first developing your drawing skills. Tracing paper is a special type of paper that is very thin and nearly see-through. Place it on top of reference material, such as photos or other illustrations, and you can trace directly on it. This practice can help you get a better understanding of shape and form, and break down complex images into digestible pieces. Some illustrators and artists also use a slightly sturdier translucent paper called vellum for their finished drawings to achieve an airy or ethereal look. A proper straight edge is vital to creating clean crisp, straight lines. And the measurements on a ruler will help if you are working on something very precise that requires consistent sizing. Along the same lines, a compass or protractor will help you create perfect circles. Many artists choose to draw these shapes without these tools, which can produce drawings with a lot of charm, but it’s helpful to have them on hand for when precision is important. Some artists have imaginations so powerful, that they can draw straight from the scenes they visualize in their head. For others, having inspiring reference material is necessary. 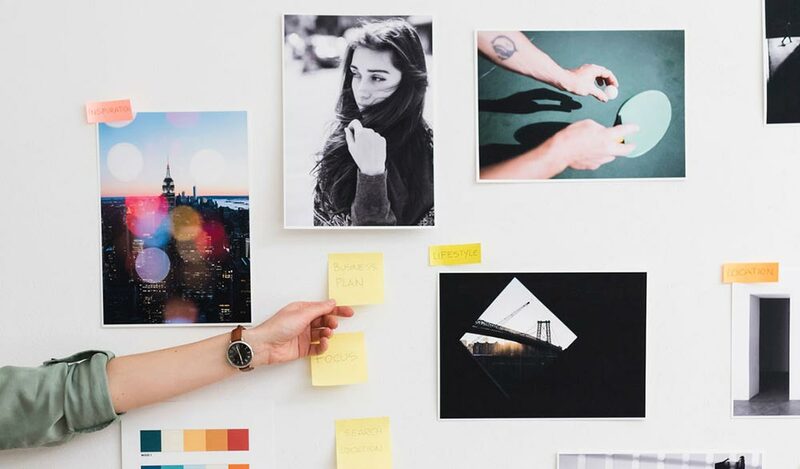 There is no right or wrong way of working, but collecting reference materials (such as photographs, everyday objects, posters, magazines, catalogs, Instagram photos, Pinterest posts, etc) can be very valuable. Being able to refer to an image will help train your eye and your hand to create more realistic images. Collecting reference material also helps you figure out what type of imagery you’re drawn to and hone in on your personal aesthetic. These days, collecting reference material doesn’t have to mean piles of scrapbooks. Apps such as Pinterest, Instagram, Dribbble, and Behance make it easy to curate portable, digital collections that you can add to on the go. Speaking of reference materials, you can always create your own by taking photos of objects, landscapes, and even people that you would like to illustrate. You don’t need a state of the art camera for this. Portability is probably more important; just something to quickly capture an image or scene. In fact, the camera on your phone is probably ideal for this purpose because it is easily accessible and always with you. This tool will open up a world of possibilities for your drawings. In addition to being able to make multiple prints and copies of your artwork, you can use software such as Adobe Illustrator or Adobe Photoshop to clean up and edit your hand-drawn illustrations. You’ also be able to convert your work into the proper format for other mediums. For example, if you wanted to print a drawing onto a t-shirt, you could do so via digitization. Digitizing your work in this way also allows you to turn our collections into a beautiful book. See how artist and illustrator Monica Garwood turned her sketches into a beautiful art book. If you prefer working in the digital realm, you could technically create beautiful illustrations without any of the above if you have a smart tablet, such as an iPad. While they can be quite pricey, tablets are very powerful drawing and illustration tools. They are portable and many apps allow you to access a limitless variety of pen and brush styles, textures, and colors. Another great advantage of using a tablet is that you can skip the scanning phase entirely. If the final version of your illustration involves digitization of any kind, you may find it convenient to work on an iPad or tablet from the beginning. If you choose to work digitally, a stylus will help you get the most out of your iPad or tablet. A stylus is a pen-shaped object that you can use to draw on the surface of your tablet. You use it just as you would a pen, pencil or brush. As digital illustration has become so popular, there are now many apps out there, created specifically to make drawing on a tablet with a stylus easy, beautiful, and fun. Some of the best-known illustration apps are Procreate, Adobe Photoshop Sketch, and Paper. Whether you’re working in the digital realm or with pen and paper, mastering a few essential tools will see you well on your way to developing your own unique style of illustration. Do you have a favorite illustration tool for books that you think we should have included? Let us know in the comments below! Ready to make a professional portfolio of your illustrations? Get started with one of our high-on-design templates or create your own custom layout from scratch.